Earn $39.99 in Rewards credit. Click to learn more. This Pioneer Left Leg Power Kit includes all materials needed to ship an existing non-drive crank directly to Pioneer for a professional installation of their Lightweight Power Sensor. It's compatible with Shimano Dura-Ace R9100, 9000, Ultegra 6800, R8000, 105 (FC-5800), XT (FC-M8000), XTR Trail (FC-M9020), Cannondale Hollowgram Si and SiSL2, and Campagnolo Potenza crank arms. Turnaround time is estimated 7-10 business days. 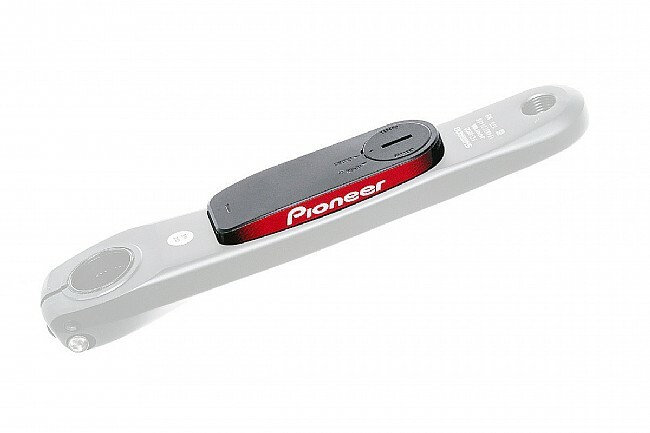 Pioneer’s Lightweight Power Sensor measures force vectors every 30° of crank rotation. This means 12 points of measurement every pedal stroke, and, when used in combination with Pioneer’s Touchscreen Cycle-Computer, the information is used to display real-time pedaling efficiency to show not only how much power the rider outputs, but how much of it is effectively used or is merely wasted. When used with any other ANT+ capable cyclo-computer, power numbers are available according to the features of the paired computer. 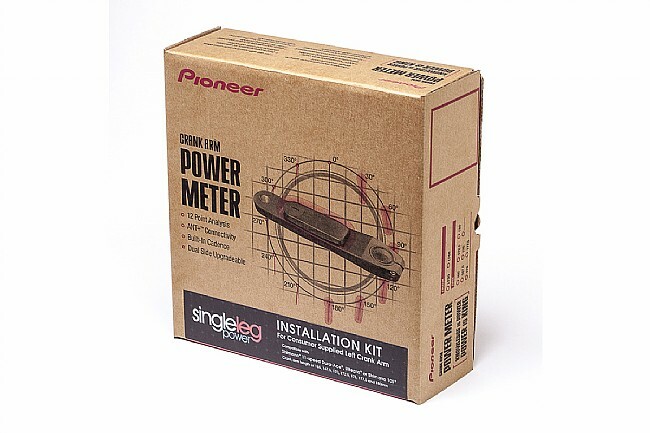 The Pioneer Lightweight Power Sensor adds just 22 g to the standard weight of the crank. Estimated operating time is 180 hours on one user-replaceable CR2032 battery. Customer is responsible for shipping costs to Pioneer. Return shipping is prepaid. Note: The power sensor adds 10 mm to the inside width of the standard crank arm, which may cause interference on some frames. Please measure before installation to ensure compatibility and prevent frame / component damage. I have been riding with the Pioneer left side for couple of months now and it has worked perfectly. I have had zero issues with calibration, connections to my Garmin Edge 1000, or connections to my PC based ANT I use for inside training rides. So far I haven't noticed any significant differences in power readings between my bikes that have Stages PMs but I haven't really studied the data closely. The Pioneer factory warranty is 2 years vs 1 year for Stages. Round trip from Portland, OR to San Diego to get the PM installed on my left crank arm was 7 working days. 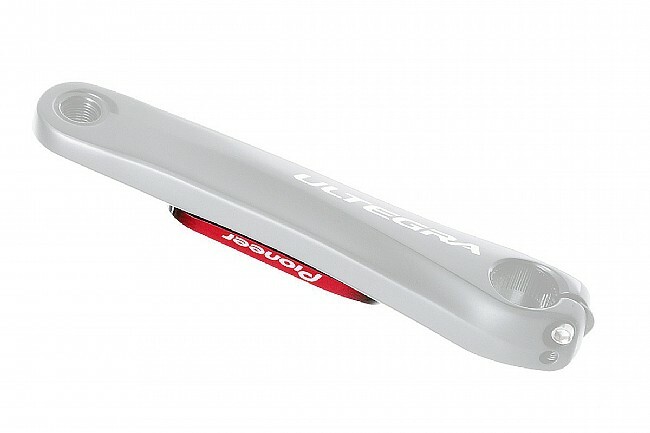 I've wanted to track my power for some time but power meters have always been prohibitively expensive. This was a great option. When I got the package, I just needed to ship out my crank arm with the packaging. Roughly a week later and got the crank arm back. So far it seems to be great with tracking power. It connected with no issues to my GPS. Make sure you have at least 10mm clearance between the crank arm and the frame of your bike or it won't fit! I bought this kit to retrofit a crankset I already owned, rather than shelling out for a new crankset. The sensor paired quickly with my Wahoo head unit. Relying on left-leg power data does make it somewhat hard to maintain a steady level of effort, and you might lose some accuracy if you're right-leg dominant. However, this option is fine for a basic and economical training tool...One caution my kit contained outdated shipping instructions, so UPS bounced it back to me after 2 weeks as undeliverable. Pioneer's service rep helped me resolve this, but you might want to contact Pioneer in advance to confirm their address and avoid the hassle.